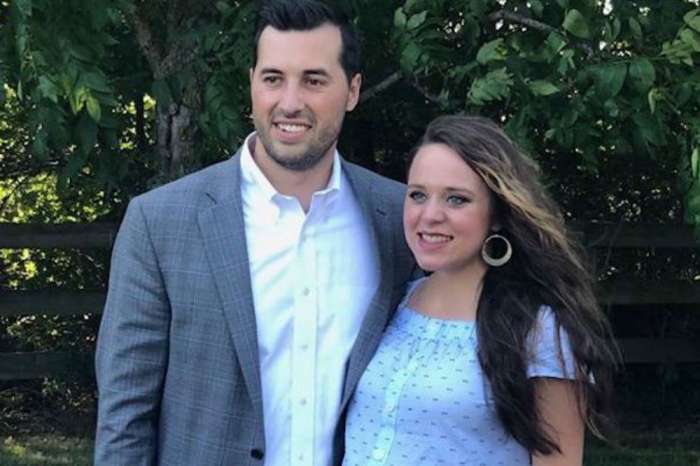 Jinger Duggar’s husband Jeremy Vuolo just did something that has never been done in the Duggar family. Even though the Duggars share most of their lives with fans via their reality show, Counting On, and their social media pages, the kids in the family who are married haven’t given out much detail when it comes to how they met their future spouses and what happens during those first few days. That is until now because Vuolo has given us a rare look into the Duggar courting process with the first pics ever taken of him and Jinger. In Touch Weekly is reporting that Vuolo recently took to Instagram to give fans an inside look at his relationship with Jinger and detailed their first few days together. 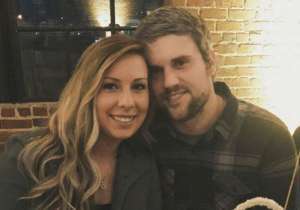 The couple met in the summer of 2016, thanks to her sister and brother-in-law Ben and Jessa Seewald. These pics were taken on day three of our relationship! Life with this girl gets better and better every day. On a recent Counting On episode, the two couples looked back on how Jinger and Jeremy’s love story began, and it all started in San Antonio, Texas. 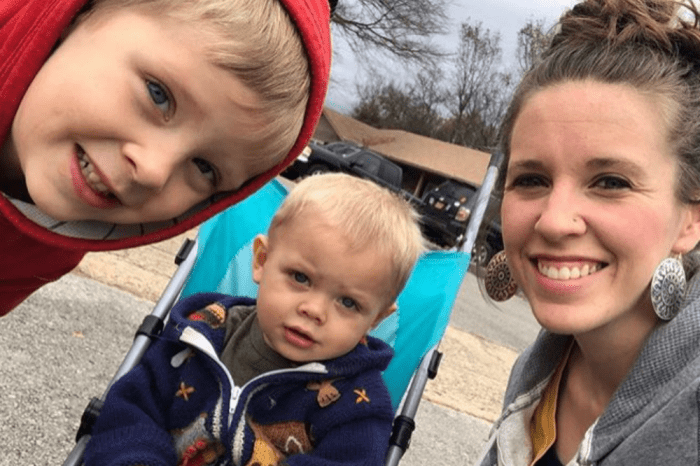 Ben explained that he and Jessa were in town to meet up with the Duggar family for a mini family vacation, but they got into town early. So, Ben called a friend who lived in the area who ended up being at work but said there were people from church getting together at a friend’s house for a pizza party. That friend ended up being Jeremy, and when Jessa met him, she knew right away that he would be perfect for Jinger. “I remember what you were wearing that night because Jinger told me that she loved this certain kind of sweater and then you were wearing that sweater. And so, I thought, ‘Oh, Jinger would really like this guy’s style,'” shared Jessa. I asked her to pose. 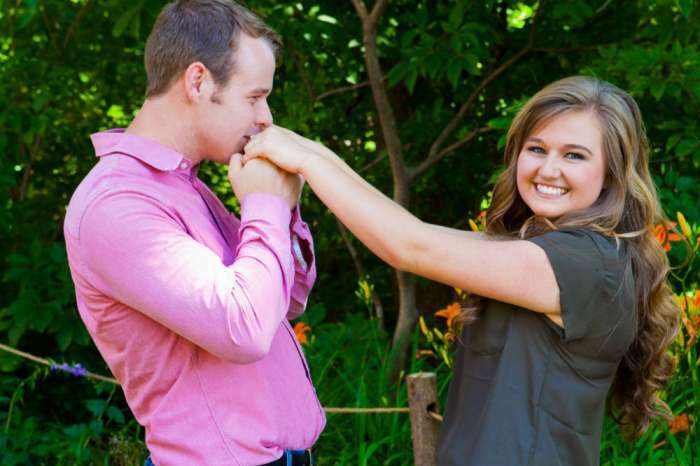 However, even though she thought Jinger and Jeremy would be good together, she never thought they would end up falling in love and getting married. 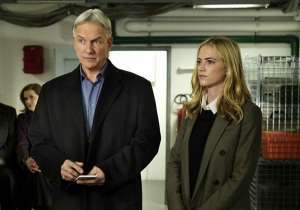 But, their relationship did get to that serious level – and it happened quickly – with the couple getting engaged one month after starting to court. Fans got the chance to see it all unfold on Counting On when Jeremy asked Jim Bob for permission to court Jinger. And, the rest is Duggar history. Jeremy and Jinger got married a few months later, in November 2016, and, unlike her other married siblings, she waited more than a year before announcing her first pregnancy. Jinger is now 22 weeks along, and the 24-year-old has been documenting her road to motherhood on social media with regular baby bump updates. She says she and her husband haven’t done much yet to prepare for their baby’s arrival and is just trying to enjoy this time in her life. The Counting On star says that the biggest surprise for her during the pregnancy is how tired she is all the time, and even though she’s never been a napper, things have definitely changed because now she wants to nap every day. Jinger Duggar is due this July, exactly two years after she and Jeremy Vuolo began courting and got engaged. New episodes of Counting On return this summer on TLC.